Zenobia Bridges Washington recently spearheaded one of the first mission outreach projects for 2017 at Calvary Lutheran Church in Baton Rouge, LA. Rev. Gary Peterson is the pastor of Calvary. 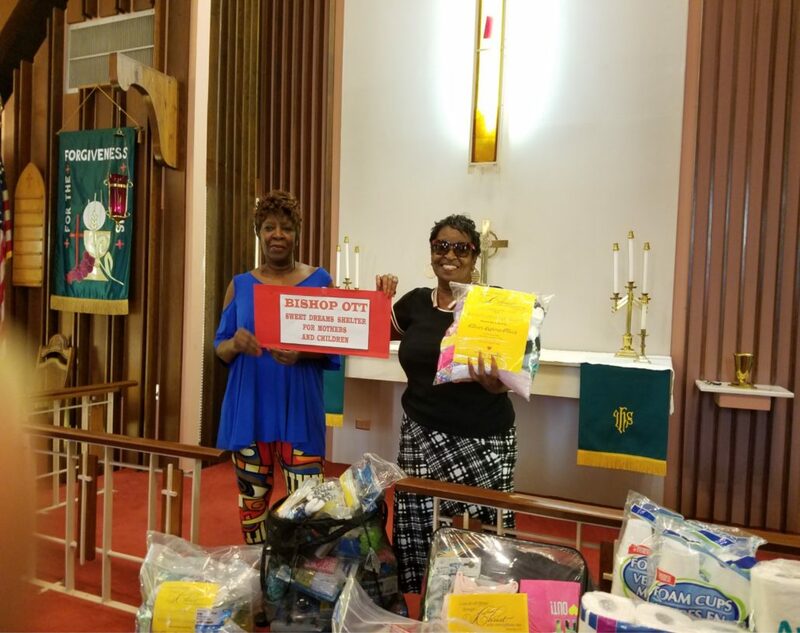 Members of the congregation contributed and provided 50 individual Blessing Bags filled with basic hygienic supplies for women and children who have escaped situations of domestic violence and abuse within their households. The Blessing Bags were delivered to the Bishop Ott Sweet Dreams Shelter for Mothers with Children, a residential safe haven for victims of domestic abuse. 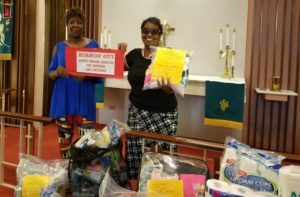 Clothing, socks, underwear, t-shirts, large personal gift bags for adults, children, and infants were among the items donated, along with Portals of Prayer for spiritual encouragement, peace, and strength. 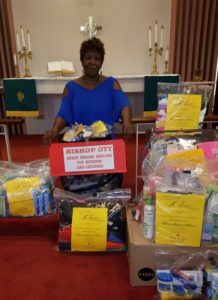 Our goal in donating to the Bishop Ott Sweet Dreams Shelter was to uplift and provide the mothers with a sense of self-worth in being the amazing person that God created and offer to support them in a time of need. The smiles on their faces were priceless.